A mild-mannered greeting card poet has the uncanny ability to pick winners in horse races. Erwin Trowbridge (Frank McHugh) is a greeting-card poet who daydreams by picking horses and keeping track of his imaginary winnings in a little black book. 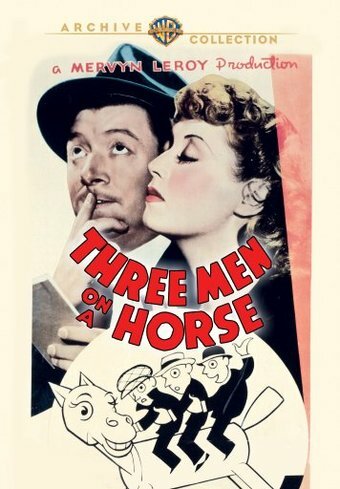 When his wife (Joan Blondell) finds the book, she's sure the colorful names are aliases for Erwin's wide range of girlfriends. He's also in hot water at work, where his boss expects fifty Mother's Day greeting-card poems by noon. Erwin takes refuge in a nearby saloon, where he gives a tip to three small-time gamblers. They win big and, before he knows it, poor Erwin is at the track, racking up the score of a lifetime and heading into the home stretch a length and a laugh ahead of the pack.